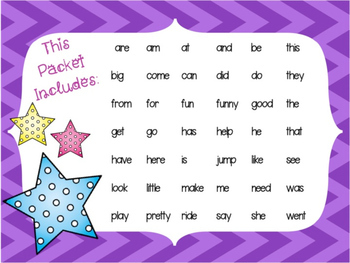 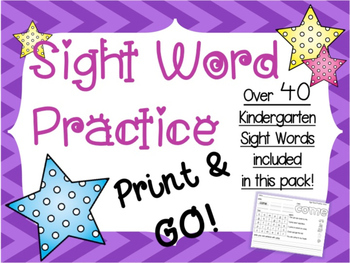 This bundle includes over 40 Kindergarten Sight Words. 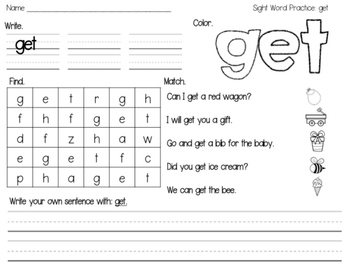 There is a practice page for each sight word. 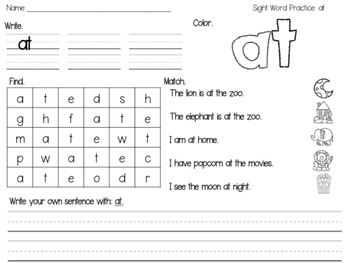 Sight word list can be seen in the preview of this product.